There was a big banyan tree, where two crows - husband and wife, had prepared a nice nest and made it their home. In the hollow of the same tree, lived a black cobra. The crows had a problem because the black cobra would climb up the tree and eat the newborns, whenever the female crow hatched her eggs. They could do nothing to save them. The crows went to a jackal, who lived in a nearby banyan tree, to seek his advice. They narrated everything to him and requested his advice for them to get rid of their problem. They said, "O Friend, It has become dangerous to live here. Please tell us how we can protect our children from being eaten up by the wicked black cobra." The jackal replied, "Please don't give up. Even powerful enemies can be overcome with the use of wit." 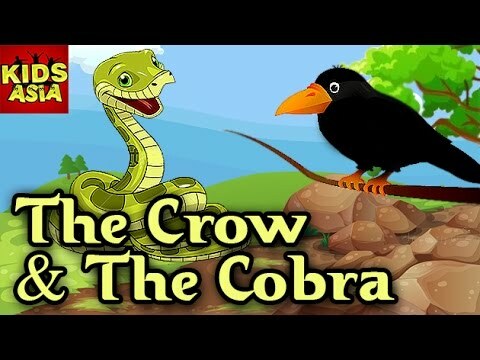 On hearing this, the crows requested, "O Friend, please tell us how we can overcome and destroy this wicked cobra." The jackal told them a plan, "Fly into the capital of the kingdom, not far from here. Visit the house of someone who is wealthy and careless at the same time. Notice if something of value is lying around. If you find so, pick it up when the servants are watching you." 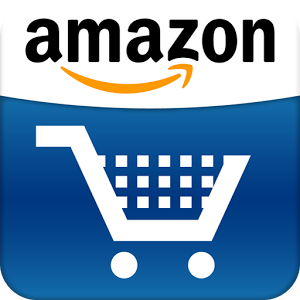 He continued, "You will need to fly slowly so that the servants can follow you. Return back to your tree and drop it in the hollow of the tree where the cobra lives. When the servants reach, they will kill the cobra when they see it." The crows decided to follow the jackal's advice and flew off immediately according to his plan. As they flew above the capital, the female crow noticed wealthy women swimming in a lake. They had left gold and pearl necklaces on the banks of the lake, which were guarded by royal servants. At once the female crow swooped down, and picked up a big necklace in her beak, and started flying slowly. When the royal servants noticed her, they picked up sticks and stones, and started throwing at her, and ran to chase her. As planned, she dropped the necklace in front of the hollow of the tree, where the black cobra was asleep. She sat on one of the branches for the royal servants to notice. When the royal servants arrived, the black cobra came out of the hollow of the tree to see what all the noise was about. 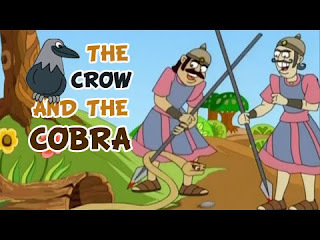 The black cobra confronted the king's servants with swelling hood, but the servants attacked the cobra with sticks and stones to recover the necklace. They killed the wicked cobra, and returned with the necklace. And the crows, having gotten rid of the cobra, lived happily.